Florida State Baseball is entering the 2019 season in the top 15 of all four major preseason polls. The Seminoles are looking to make this the most memorable year yet for the program. 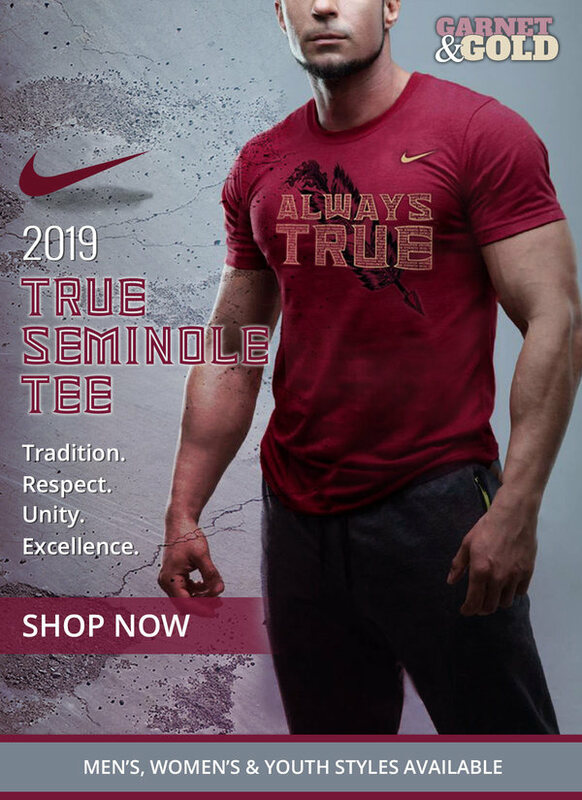 With it being head coach Mike Martin‘s final season at the helm, they are all looking to bring him the ultimate success that FSU has yet to accomplish. Florida State earned back-to-back ACC Championships and finished the 2018 season hosting the Tallahassee Regional with a 43-19 record. Now, the ‘Noles are ready for a comeback after the devastating loss in regionals. The NCAA uses the D1Baseball poll throughout the regular season for their official rankings. The ‘Noles came in at No. 13 in their poll after finishing the 2018 season in the No. 21 spot. FSU is the third-ranked ACC team among the poll behind only North Carolina and Louisville. To further breakdown different skills, D1baseball uses an overall grade scale of 20-80 for each team, giving the ‘Noles a high 55 for hitting. Their notorious hitting skill is what ranked them so high. FSU lost three of their top hitters to the MLB Draft last summer and will need players like Drew Mendoza, Reese Albert, and others, including multiple talented freshmen, to quickly fill those leading roles. The overall pitching ranking is 65, one of the highest ranked among all teams, thanks to the returning starting rotation that had a stellar 2018 season. In all of the NCAA, FSU ranked fourth in strikeouts per nine innings with an overall average of 10.2. Drew Parrish, CJ Van Eyk, Chase Haney, Austin Pollock, and Jonah Scolaro are expected to steer the weekly starting rotation for the Seminoles. In the most recent preseason poll, USA Today released their Coaches poll with Florida State at No. 11. This is a huge jump from their final ranking of the 2018 season at No. 21. FSU is the third-ranked ACC team, behind only North Carolina and Louisville again, despite winning the series against both teams and defeating them in the ACC Tournament last year. FSU will play Louisville again in a weekend series this year, and could potentially face UNC at any time during the ACC Tournament. The Coaches Poll is FSU’s second-highest preseason ranking for the 2019 season. 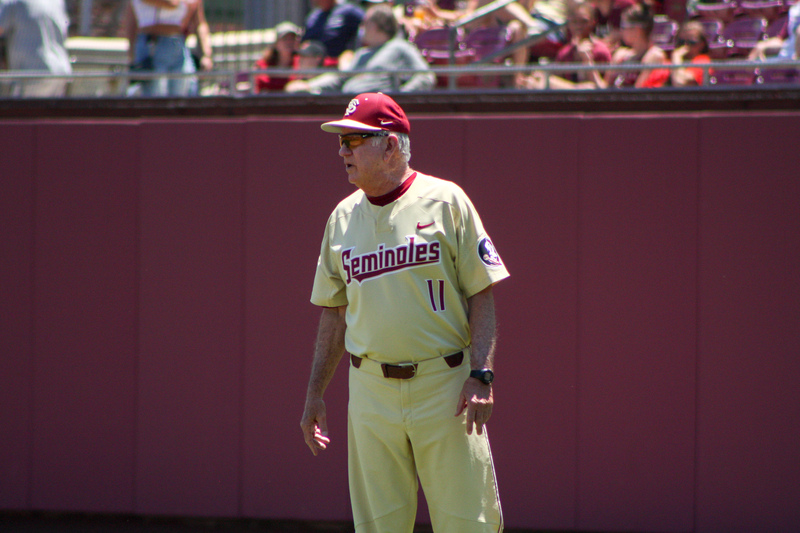 The highest preseason ranking for the ‘Noles comes from Baseball America at No. 6. Earlier in the fall, Baseball America ranked their 2018 recruiting class as the third best in the country. This recruiting ranking plays a huge role in why the preseason ranking is so high, with a program-record fourteen freshmen joining the team this year. Freshmen like Nander De Sedas, the highest ranked position player to go to college, joining the ‘Noles will be a huge boost defensively in the infield and at the plate. Along with De Sedas, others such as Matheu Nelson, Elijah Cabell, and Robby Martin are highly touted and expected to have breakout freshman seasons. Baseball America writers think very highly of this 2019 FSU team, predicting the ‘Noles will be one of the eight teams to make it to Omaha this postseason. There are a lot of accomplishments to pursue, especially for Coach Martin in his final season. Baseball America is also expecting junior third baseman and captain Drew Mendoza to step up big, and possibly become one of the nation’s best players. Rounding out the major preseason polls, FSU lands the No. 14 ranking for Perfect Game. The ‘Noles are one of five ACC teams to make the top 25 along with North Carolina, Louisville, NC State, and Clemson. After finishing the 2018 season in the 17th ranked spot, FSU moved up three spots with the additions of new players and solid returners. In addition to Drew Mendoza, fellow classmate Drew Parrish was also named a captain for this 2019 season. Parrish earned multiple preseason accolades, including a Perfect Game Preseason All-American recognition. Just a few weeks into the 2018 season, he had to step up to the Friday night starting role after injuries to two other starters. His 5-1 record, an impressive 128-to-37 strikeout-to-walk ratio, and 2.52 ERA are major reasons for earning his spot as a first-team All-American. Parrish is notably crafty on the mound with his three pitches and knows how to get easy ground balls to his defense when he was not earning one of his 128 total strikeouts. While trying not to add any extra pressure, Florida State will have some big shoes to fill this season for Coach Martin’s final season. They are known for being strong hitters and will only continue to improve this season, despite losing three of their best hitters to last year’s draft. The pitching staff has depth from the starting rotation to the bullpen, with the leadership from Parrish and Van Eyk. Overall, their returners have a strong grasp for what is expected of them all this year and will help to guide the newcomers into the winning traditions of Florida State Baseball.